A monthly curation of wines we’re personally pulling the corks on. Everyone’s palate is different. Some it crisp, high-acid, and mouthwatering. Others prefer deep, concentrated, and high-octane expressions. Naturalists tend toward the kick-down-the-barn-doors-and-roll-around-in-the-hay approach, which tends to be a bit dirtier than your mom's buttery Chard. And that’s what makes tasting, learning, and selling wine so interesting. 1,400 vine varieties, thousands of unique climates, ancient soil combinations, and ever-evolving growing techniques are factors that produce beautifully-ripe bunches of grapes. 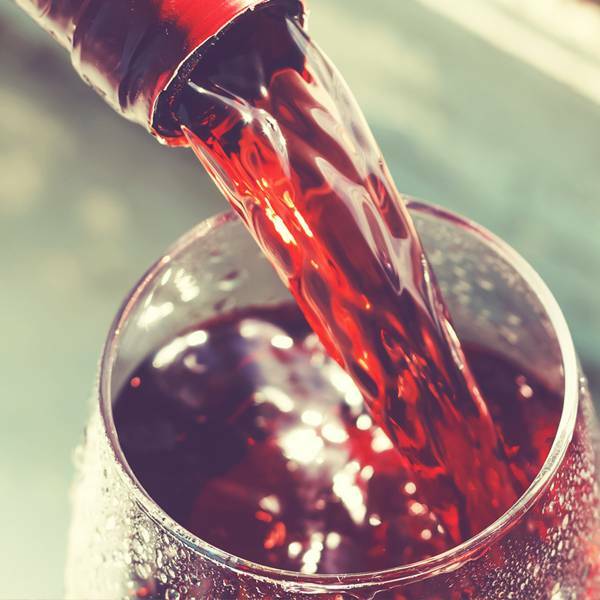 Add a little vintage variation and an unimaginable amount of winemaking options, and you’ll get the world of wine -- a wildly diverse collection of fermented grape juice -- that we know and love today. As exciting as this all seems, it’s also incredibly daunting. That’s where we come in. While we love all of the crazy combinations our hearts still lean one way or another. Tulio prefers a strong backbone of acidity. Ian likes things a little earthier. Monica looks for elegance. Gary goes for broke. Isabelle keeps it fun. And Mike enjoys the classics. Welcome to What’s in My Glass, a list of wines curated each month by your favorite wine merchants. So, whether you’re into bright, beautiful, lift-you-into-a-happier-place bubbly, or wine more classically trained than an Oxford graduate, rest assured, one of us is too. Did we mention there all 10% off? "This particular bottle is about as classic of a representation of Chinon Cabernet Franc one could find. I have a special place in my heart for Cab Franc because it’s one of the few varieties that ripens in my home state of Michigan. While this isn’t an Old Mission Cab Franc, is does take me on a short journey back home. "It’s February…it’s cold, football season is over and let’s not get started with that silly ‘holiday’ on the 14th. Let’s focus on the positives here…there’s no better time to recalibrate, get back to neutral and discover a new arsenal of wine. With that said, I give you 2013 Roagna Langhe Rosso, a hearty, red, Italian wine made for a cold winter. This ain’t your run of the mill Langhe Rosso. Although the price might be higher than other wines you’ve tried with that title, this bad boy drinks like a Barolo or Barbaresco twice its price. The grapes are picked, sorted and selected by hand from vines in the same vineyards destined for Roagna’s blockbuster wines.